Note: This company no longer serves ‘little guys' or has an affiliate program. Imagine how many more sales you would get from your video marketing efforts when your affiliate links are placed directly in the video viewing screen. What if your videos included an Aweber / Constant Contact or iContact autoresponder signup form? Want to bet that you'd grow your email lists faster? Those are just 2 of the ways you can improve your conversions when you use Viewbix, a new video marketing tool that adds interactive apps to the viewing experience. In the video below I demonstrate how easy it is to add just some of the over 2 dozen apps available to Viewbix users. You'll also see how I've used it myself. Check out this phenomenal list of features and apps that you can add to any video and have viewers access them without leaving your video! List – Add a custom list of links with descriptions and photos. 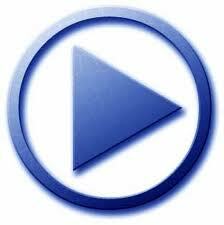 YouTube video(s) – Direct viewers to your Youtube playlist. eBay – List your eBay auctions. End times and current prices update on the fly. RSS Feed – Viewbix video is constantly updated with live RSS feeds. Google Map – Add your business or other address and let people see where you are. .
Mail Chimp – Let users sign up for your newsletter and read past campaigns. Yahoo Weather – Show your viewers the current weather in any location you choose. Aweber, iContact – Allow users to sign up for your newsletters and mailing lists. QR Code – Insert your QR code. Coupon – Add a coupon that can be printed right from the player. Slideshare – Embed a Slideshare slideshow directly into your viewbix video. Music – Upload an mp3 or create a playlist that can be played right in the Viewbix. Viewbix currently offers 2 free players as well as Pro plans starting at $19.95 for branded players, premium apps and detailed analytics. Check Viewbix out today and let me know what you think! Comments, questions or suggestions about Viewbix? Please share your thoughts below! This looks like something I might want to try out. I’m a little weak with the video marketing, but I have realized that it is a must when it comes to Internet marketing. I will probably try the free trial to see if it’s good for me. I also wanted to thank you for your wonderful knowledge base. I recently purchased your Super Affiliate Handbook and I must say that it is excellent. I am learning a lot from seasoned pros like yourself and hope to one day be amongst the group. Hi Rosalind, thanks for mentioning iContact. If I can help you out with future posts, do let me know! Very nice! Can you include a link back to your site on the original youtube video? The one that is on youtube itself?